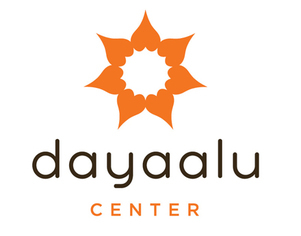 Dayaalu Center is a community of students, teachers and healers on Bainbridge Island that support one another in leading healthy, meaningful lives and building strong, loving communities. Dayaalu, pronounced dye-AWE-lu, means compassion in action in Sanskrit. We offer yoga, meditation, qigong, chanting, dance, music, nutrition, and more! Our integrated healing center includes naturopathic and allopathic doctors, lifestyle medicine, massage, acupuncture, counseling, physical therapy, and our far-infrared sauna. Please visit us! Stroll around our peaceful gardens, grab a healthy meal from Tulaa Cafe, peruse our beautifully curated selection of gifts for the yogi in all of us, and see what Dayaalu Center has to offer! ​If you are new to Dayaalu, and a local resident, please take advantage of our ​New Student Introductory Offers. ​Tulaa Cafe is now serving delicious food to nourish your body, mind & spirit! ​ ​Tulaa (meaning "balance") Cafe is cooking up fresh, organic, vegetarian foods- the best in town! We have soups, salads, gluten-free muffins, nut milk drinks, specialty teas, and more. Eat in the newly decorated seating area or check out the cooler for food-to-go. Try our Tulaa Meal Club subscription service, too. Open for lunch Monday-Friday, 11:30am-2:30pm and take-out whenever we are open. Ready to join the Dayaalu community? It's easy! Read more about signing up for classes and creating an account. Susan James shares the health benefits of nettles, harvest tips, and a recipe!